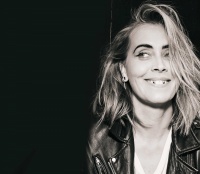 Looking for a T-shirt of your favorite artist? Merchandise sales points are located on each floor where you are sure to find that special memento of a concert or event. 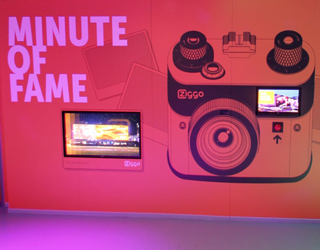 Host Ziggo welcomes you in the foyer of the Ziggo Dome where you can leave your coat, free of charge. Token machines and cigarette sales are also located here. Be the star of the night, in our Coca Cola Karaoke Machine! 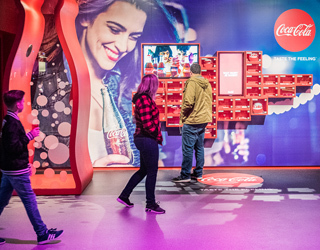 The Coca Cola Karaoke Machine can now be found on the ground level in the Ziggo Dome! Sing your heart out together with your friends (or alone!) in a massive Coca Cola bottle. 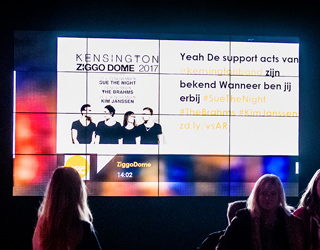 Check out the latest tweets of @ZiggoDome on the tv screens in the building. Keep your eyes peeled and maybe you will see your tweet with the #ZiggoDome passing through! 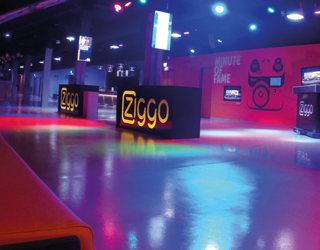 Start your concert night with suitable music at our Ziggo Zone, where a DJ plays the best tunes prior to the concert! 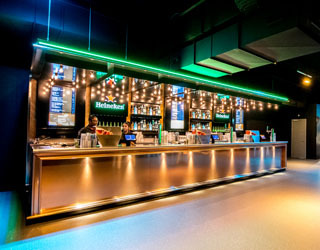 Enjoy a cold beer in the café right next to the artists’ dressing rooms, on the first tier of the Ziggo Dome. 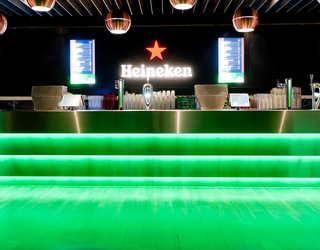 Sit back and relax in the Ziggo Dome. 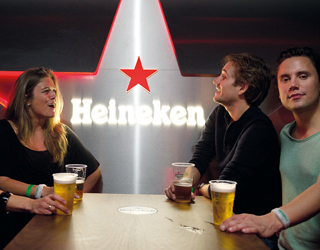 Get something to drink and chat with your friends in the Randstad Lounge. 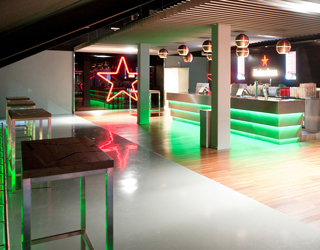 You can even be a dj: take your place behind the Randstad dj booth and pick your favorite tunes! Give your phone an energy boost! 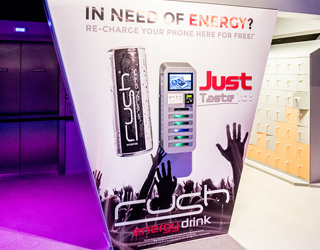 You can find this charging station near the lockers G and H on the ground floor. 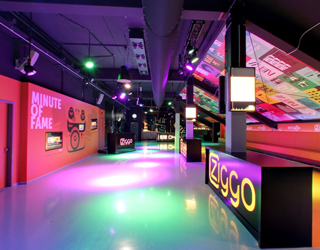 With train-, bus- and metro stations within walking distance, it is easy to get to the Ziggo Dome by public transport. Bike to the Ziggo Dome and park your bike safely in one of our bike parkings. Quickly to the Ziggo Dome from Schiphol Airport. Plan your route and check the parking options.